Before Curtis first stepped on board MetroLink four years ago, he made sure to weigh the cost-benefits before putting his transit commute into action. 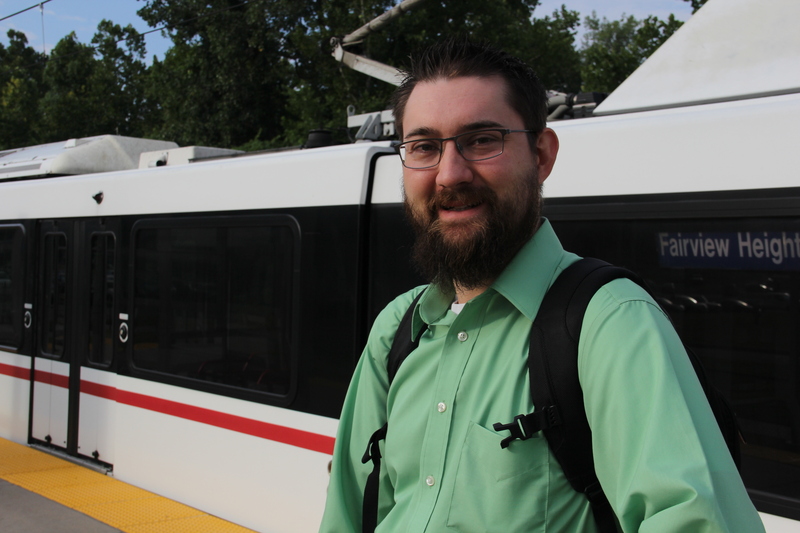 Curtis’ stress-free commute starts by parking his car at the free Park-Ride lot at the Fairview Heights MetroLink Station and hopping on a westbound MetroLink train. From there, he rides to the Convention Center MetroLink Station, where work is just across the street. In addition to using MetroLink to get to and from work each day of the week, Curtis also uses it to travel downtown and get to baseball games. While getting from Point A to Point B is the main reason Curtis chooses Metro, riding the train allows him to enjoy several additional benefits. And, if Curtis ever needs to remember why he made the switch to transit, all he has to do is look out the window. “I see all of the traffic lined up and realize that I’m not sitting there stressed out because of it,” he said.